Following the launch of its first cross-portfolio advertising campaign in December, the Kraft brand will make its first Super Bowl appearance. Kraft Heinz announced the Super Bowl LII commitment today. The spot will be a 30-second format, and air during the second half, a brand representative tells Marketing Daily. The brand isn’t yet previewing the Super Bowl ad creative, but confirmed that it will feature “real families” and extend the new “Family Greatly” branding platform created with Leo Burnett to span Kraft Macaroni and Cheese, Kraft Natural Cheese, Kraft Singles, Kraft Mayo, Kraft Salad Dressing and Kraft BBQ Sauce. The Family Greatly platform is premised on supporting and reassuring today’s anxious parents that they don’t have to be perfect in order to be loved and admired by their kids. 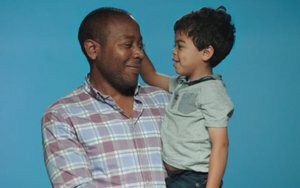 The campaign’s launch ad (screen grab shown above) — a longform (2:19) video featuring real parents expressing their anxieties about parenting, followed by their kids expressing their admiration for them — has drawn more than 13 million views since its debut in mid December (including the 5.4 million currently showing on YouTube), according to the brand. Kraft Heinz’s last Super Bowl investment was for its “Weiner Stampede” ad in 2016, which employed rollicking dachshunds to promote Heinz’s family of condiments. That ad, from the David (Miami) agency, generated the largest increase in brand buzz and purchase consideration of all Super Bowl ads that year, according to YouGov BrandIndex.